Why Catholic School? Why Us? Prospective parents often ask “What makes St. Patrick School better than other schools, both public and private?” I do not feel it is helpful to parents for me to post the advantages of Catholic education at the expense of other systems or individual schools. I believe a child can receive a good education at the many schools, both public and private. However, I think I can give a more helpful response if I focus on how our school is different than other schools. St. Patrick School is a Catholic School. We teach students about understanding and enjoying faith. We also teach them to live their faith. Concepts like love, community, reconciliation, responsibility for self and others, generosity, tolerance and social justice are an integral part of our curriculum. More importantly, these values are observable every day in the interactions and attitudes among teachers, parents and students. Our school provides faith-based education in a safe, nurturing environment with teachers who truly care about their students as positive role models and good friends. The St. Patrick School curriculum helps a child grow not only intellectually but also emotionally and spiritually. We focus on building self-esteem and encourage self-motivation and self-discipline with numerous opportunities for parents to play an active role in the education of their children. How all these factors come together and are expressed in the day-to-day interaction of the members of the St. Patrick community is what sets us apart from other schools. 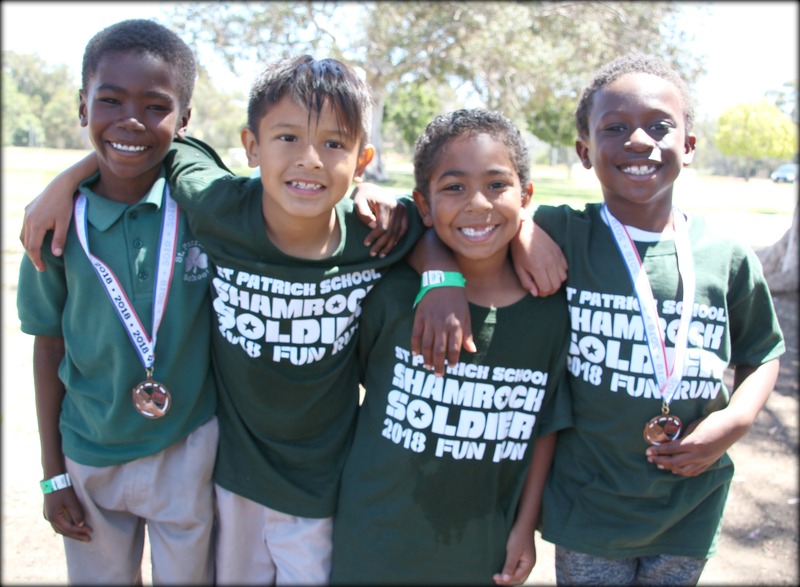 At St. Patrick School we never lose sight of the importance of each child as we recognize each other as unique gifts from God. Therefore, every student’s potential to learn, grow and to make a difference is encouraged. We challenge the intellect, nurture the spirit and help the individual build character.